The fourth edition of the popular Sausage League competition is happening right now at Marben! 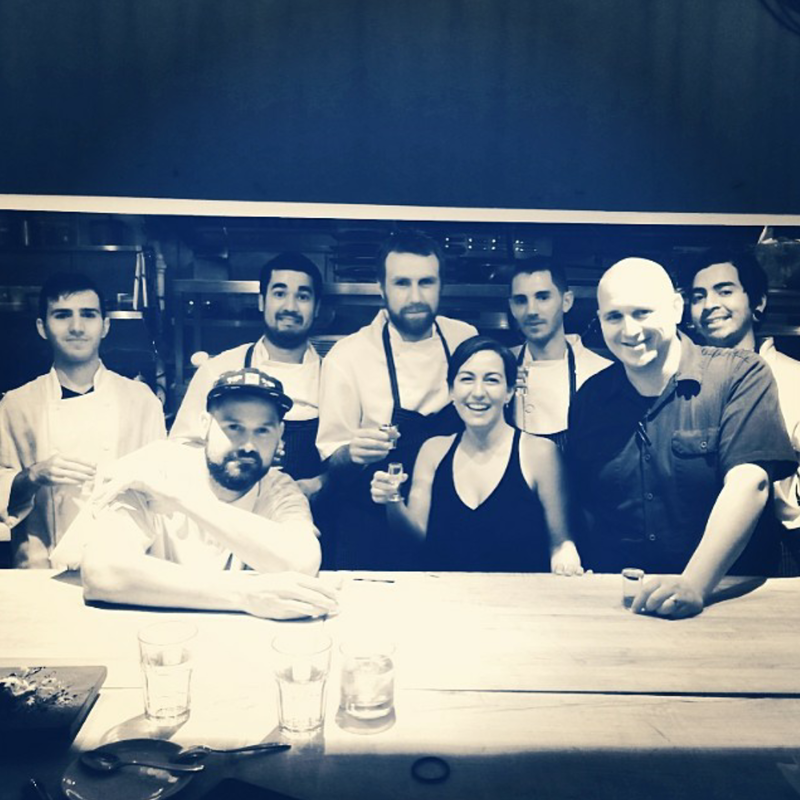 Featuring a round robin competition between eight local chefs and restaurants for the best sausage dish, participating diners get to vote during each round to award Toronto's ultimate Sausage King. For $25 you get to enjoy the entire Sausage League experience (2 unique sausage dishes and a Beau's lager) and cast a vote for the dish you liked the most and at the end of the evening, the restaurant that has garnered the most votes will proceed to the semifinals until one chef is left standing. Round 1 took place on Tuesday, July 15th, between Rock Lobster and Origin St. James where Deron Engbers of Rock Lobster bested Harrison Hennick of Origin St. James in this year's first ever match. Deron’s Wild Boar and Tarragon Sausage with Fennel Slaw was the winning dish, edging out Harrison's Chicken Sausage with Tempura Cauliflower, Hot Buffalo Sauce & Yuzu plate. The two sausages were brought out with coloured napkins corresponding to the sausage on the voting card. This encourages diners to vote for the tastier dish rather than their favourite chef or restaurant. Both dishes as a whole were excellent. First off, lets talk about the sides. The red's gold seared pork belly stuffed pierogi was killer; I could easily have a dozen of those on my own. The blue's sides were also well done; the tomatoes and the sweet creamy corn polenta worked well with the sausage. As for the sausage itself I much prefer the red's. Granted it was a tad on the salty side it had a pleasant smoky essence to it. It was also a tighter and firmer sausage compared to the blue sausage, which had a loose, crumbly texture. I also liked the red's slightly crispy / crunchy exterior. In my opinion, the blue sausage was a bit bland. I also wasn't too crazy about the addition of pine nuts in the sausage. WINNER = RED SAUSAGE, Jesse Vallins from The Saint Tavern. 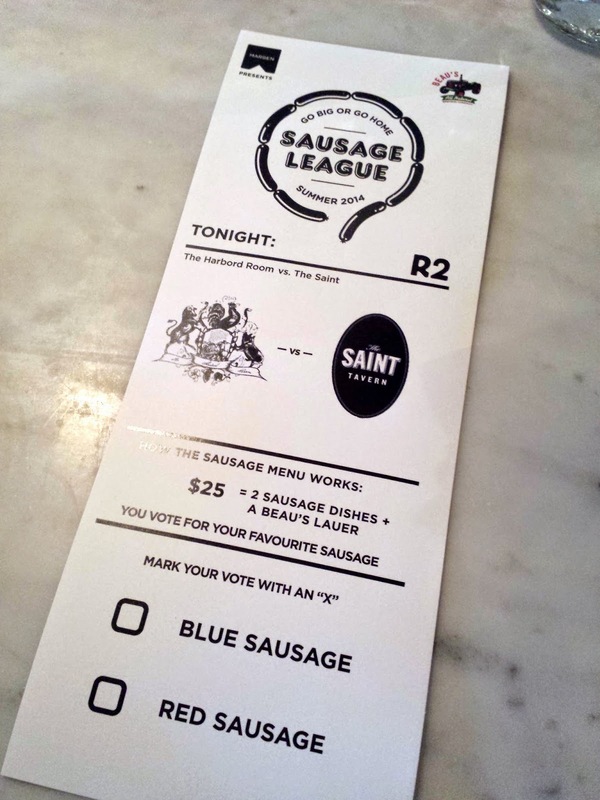 Guests wishing to attend Sausage League playoffs are encouraged to make a reservation. 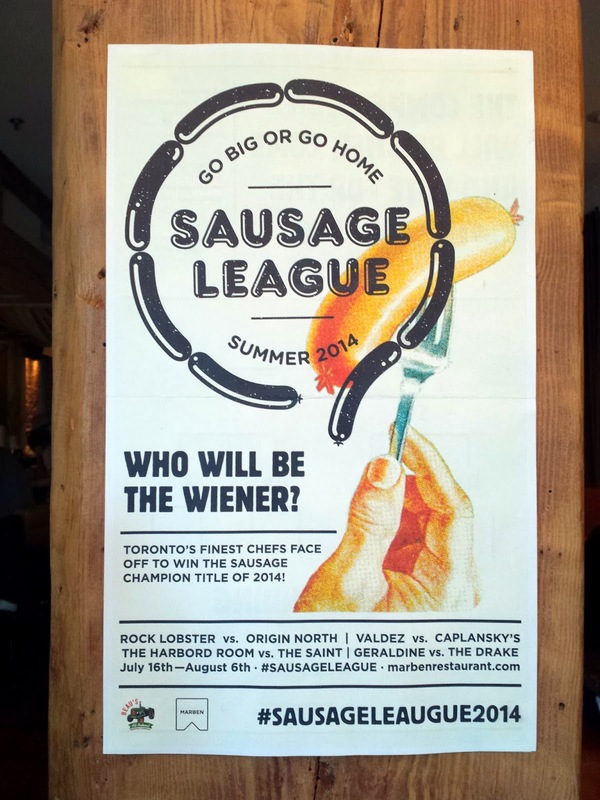 For regular Sausage League updates, visit www.marbenrestaurant.com, the Marben Facebook page or follow @MarbenResto and the #SausageLeague2014 hashtag on Twitter.